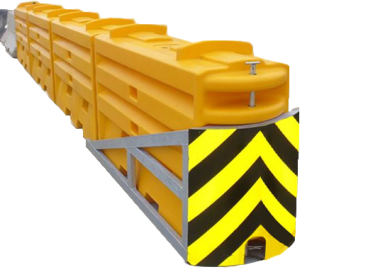 SLED Impact Attenuators are Caltrans approved crash barriers. Placed at the end of permanent and temporary barriers, SLEDs are a narrow, non-redirective gating crash cushion. SLEDs can be applied to concrete, steel and water-filler barriers. Quick and easy set-up. Approved for use in multiple speed conditions.